#000548 - A Cut Signature of J.R.R. Tolkien, Perfect for Tipping Onto a Title Page - $2000.00 Would be perfect for a tipped in Signature to a copy of one of his classics like, The Hobbit or The Fellowship of the Ring's title page. A cut signature of J.R.R. 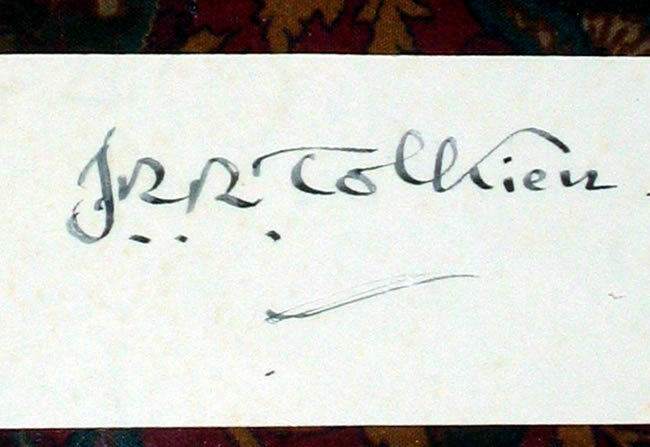 Tolkien, written on 'Chariot' watermarked paper, originally from the Miramar Hotel.